Well, this was a first! 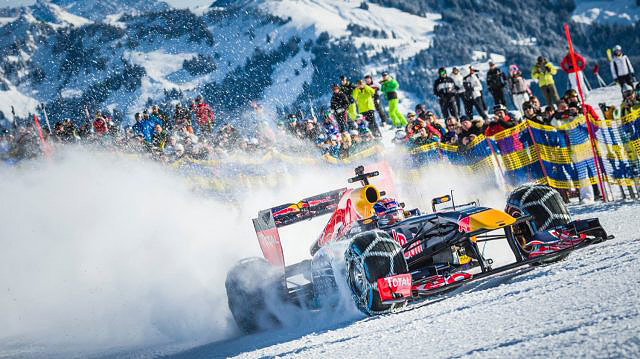 Belgian-Dutch racing driver Max Verstappen took his Formula One car RB7 for a spin on the Hahnenkamm mountain side in the Austrian Alps of Kitzbühel. The RedBull team knows for sure how to create virals!